One day, years ago, I asked my papaw where he'd met my mamaw. He grinned with a twinkle in his eye and informed me he'd met up with her in the middle of the road! We both got a good chuckle out of that one. For one word~can't you guess? When I say, "Be my Valentine!" Well, middle of the road or not, the answer did turn out to be yes. 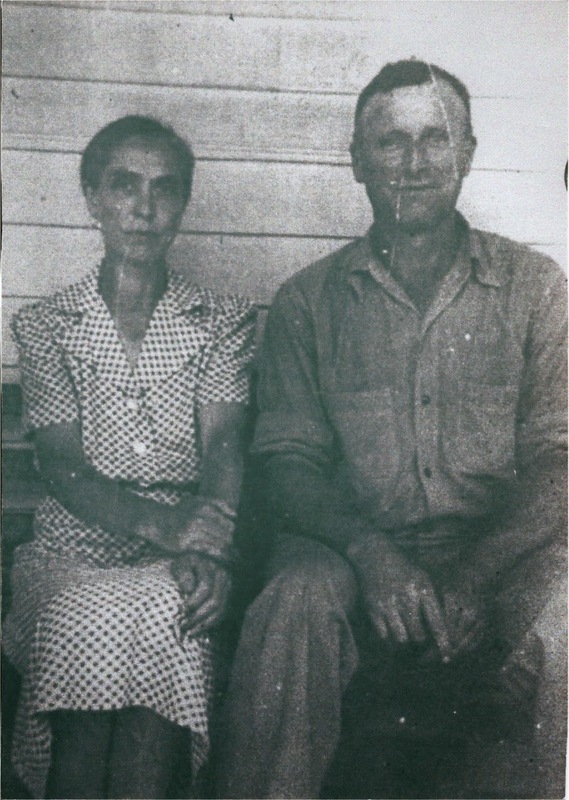 And they then spent the next seven plus decades raising their little family together in rural Eastern Kentucky. Now my papaw loved to eat...it was one of life's simple pleasures for him. He was a really hard worker (and I mean good, old fashioned, physical farm work)...so his appetite was a healthy one. Well, lucky for him, that woman he met up with in the middle of the road just so happened to be a very fine cook! Mamaw loved to garden and work outdoors more than anything...but she was certainly no slouch in the kitchen. She came from a family of nine children, but she was the only girl, so I imagine she had to learn her way around the old cook stove fairly early! I do have some fond childhood memories of eating my mamaw's good cooking, but she had slowed down quite a bit in the kitchen during her later years after I came along. So there were many of Mamaw's legendary dishes I sadly never had the opportunity to try. 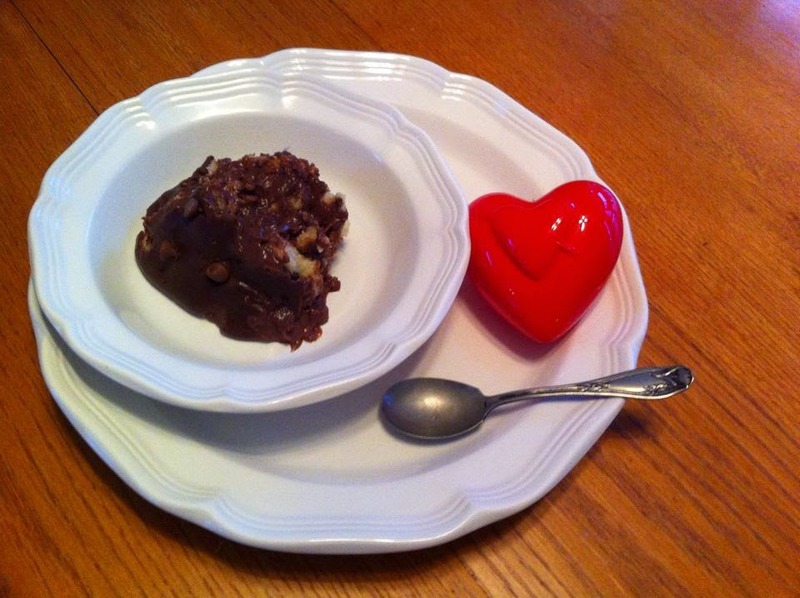 Luckily, though, my mother and Aunt "Oh So Sweet" have done a great job of conveying many of her recipes to me...and it is one such wonderful dish I would like to share with you today! I know you all have heard of chocolate gravy...that yummy mountain dish many of us have sopped our biscuits through at one time or another! Well my mamaw took that familiar downhome delicacy and used it as a dessert. You see, Mamaw was never much of a breakfast person...so she likely figured she would enjoy her chocolate gravy better served up in the day a bit! In all honesty, she likely had this method passed down to her by her own mother, grandmother and so forth...but maybe she came from a long line of non-breakfast lovers! 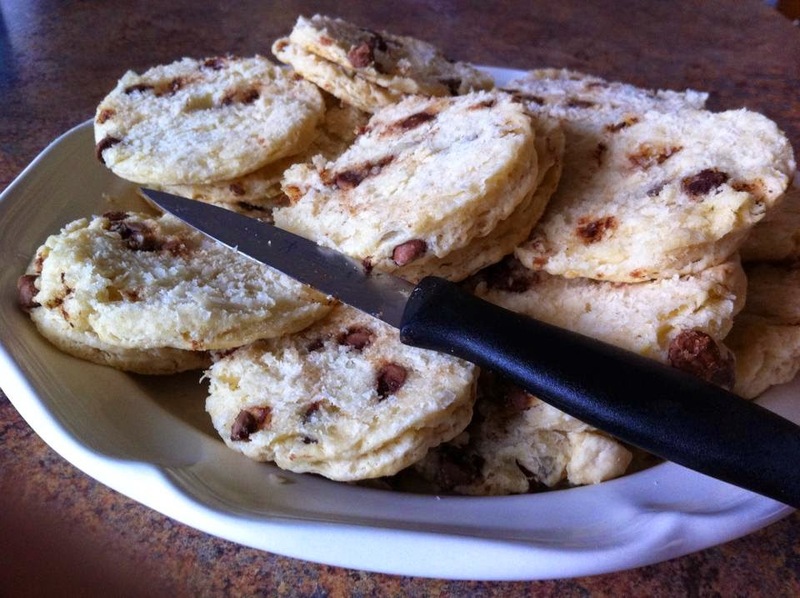 Anyhow, anytime Mamaw would have a good number of biscuits leftover from breakfast...she would save them back until a little while before the noon dinner, or maybe even as late as supper. Then she would stir up a good batch of chocolate gravy on the stove, split her biscuits, and make alternating layers of split biscuits and gravy in a big serving bowl. Then she would allow the dish to set at room temperature for awhile...as that good gravy soaked itself right into the layers of those biscuits. She would then serve it for dessert after the meal. 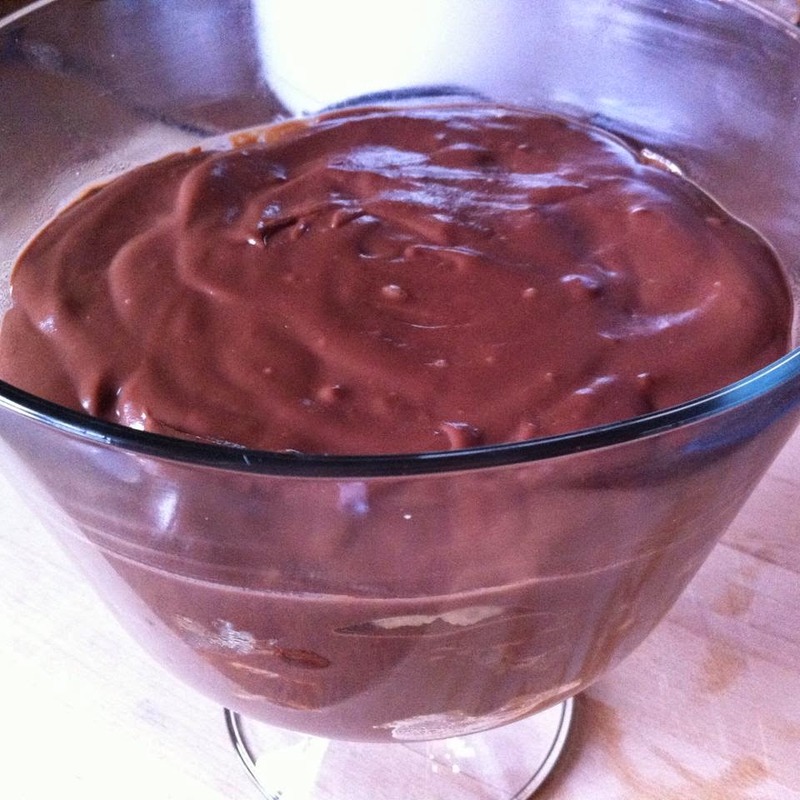 She called it simply chocolate pudding, as it resembled a bread pudding of sorts when completed....and once set, the chocolate gravy does thicken significantly (nearly to a pudding state). 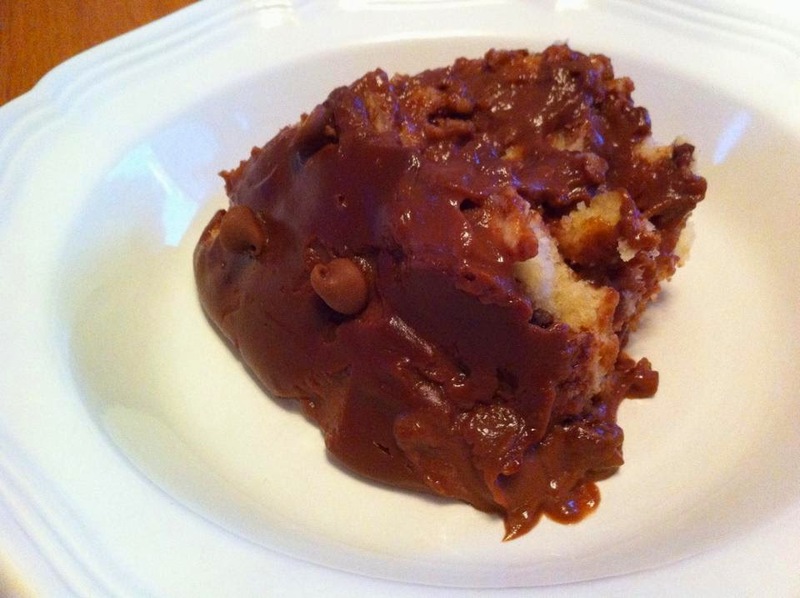 I'm dubbing it Chocolate Gravy Biscuit Pudding...but whatever you call it, this dish just sings down home comfort food! The flavor is that gorgeous, smooth, mellow flavor only chocolate gravy can give you...and the biscuits lend just enough texture. The biscuits and gravy truly blend together to become one in this dish...make sure you let it set long enough to meld together, and this dish will not disappoint! 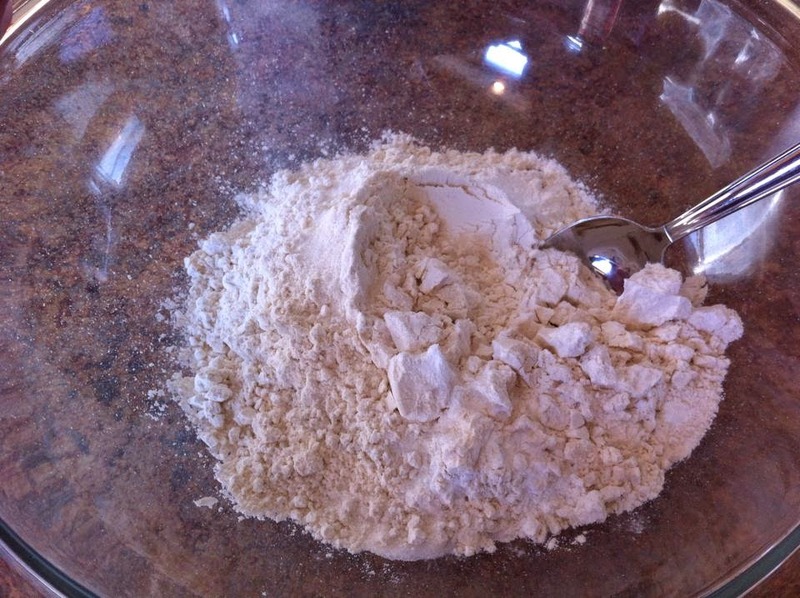 In a large mixing bowl, combine 2 cups of flour, 2 1/2 tsp. 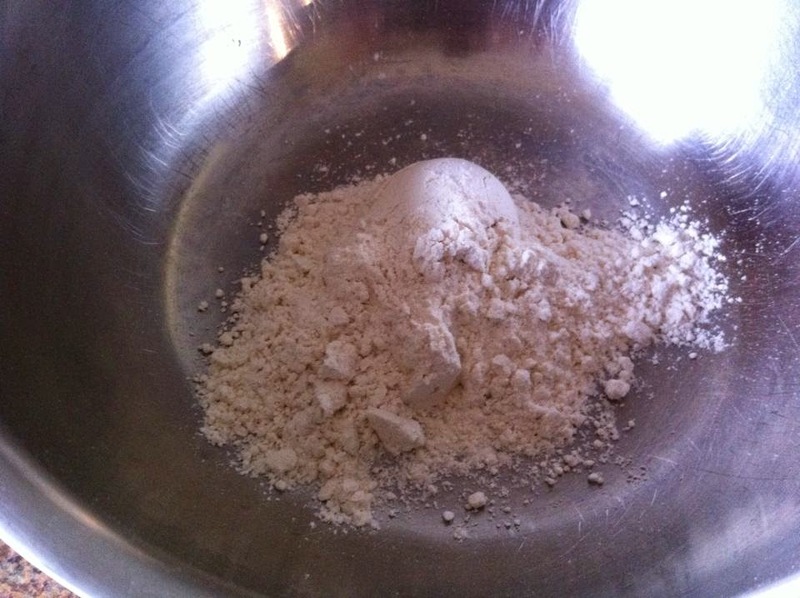 baking powder, and a 1/2 tsp. salt. 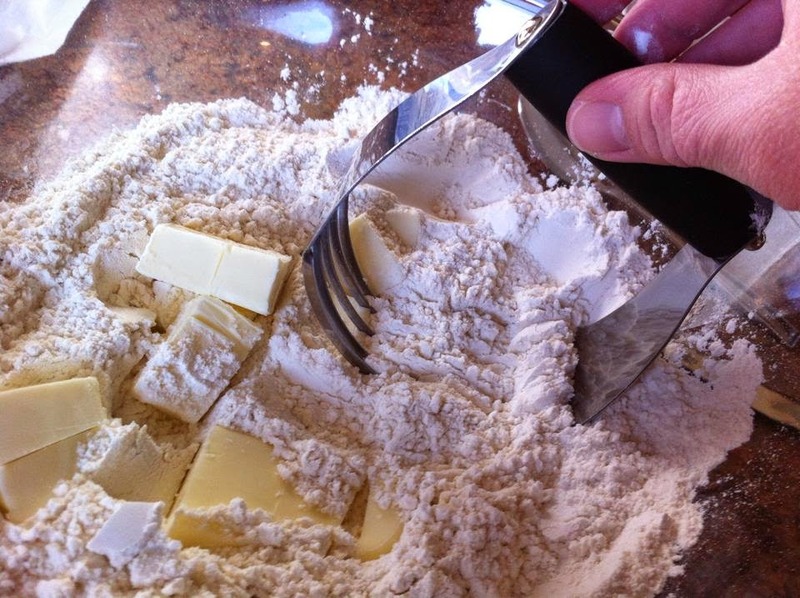 With a pastry cutter or two knives, cut 1 stick of butter into the flour mixture until the butter is the size of peas. Place the biscuits on a lightly greased or sprayed baking sheet and bake at 400 degrees for 10-12 minutes, until light golden brown. Set the biscuits aside to cool. You want to make your biscuits far enough in advance that they aren't super soft when you put them together with the chocolate gravy layers. 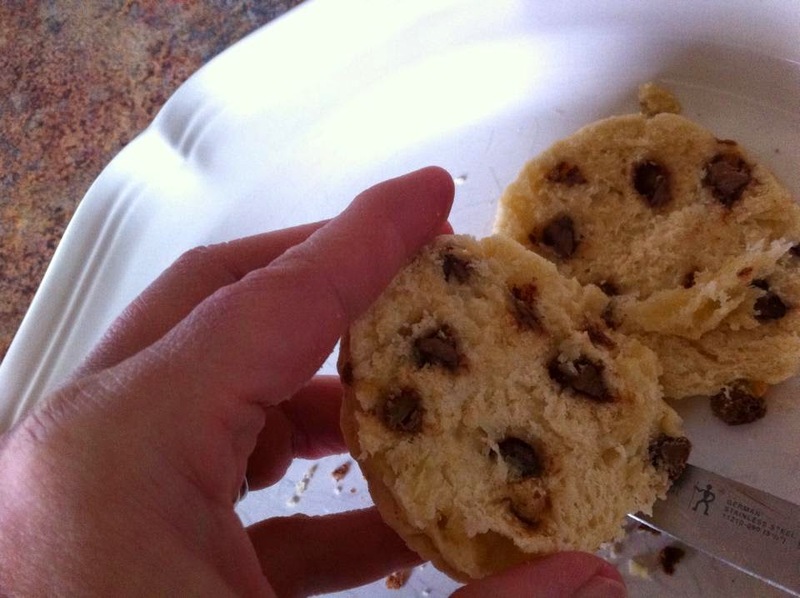 Remember that my mamaw always made this dish with biscuits leftover from breakfast. About an hour and a half to two hours before you plan on serving this dessert, you want to make your chocolate gravy component and assemble the layers. Before you begin your gravy, slice your biscuits into layers with a sharp knife. My biscuits were rather thin, so I just sliced them in half...but if you decide to go with a different biscuit recipe that produces taller biscuits, you may need to slice them into three or more layers to allow the gravy to soak in properly. 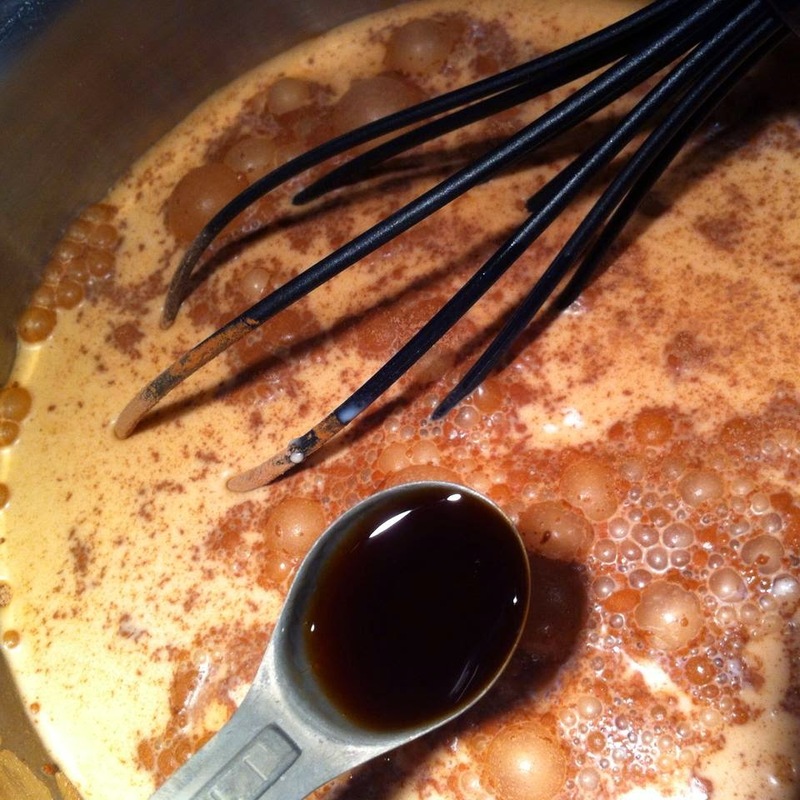 For your chocolate gravy, in a medium-large saucepan (or cast iron skillet if you want to be really authentic) whisk together 1/4 cup plus 2 tablespoons all purpose flour, a cup of sugar, 1/4 cup cocoa, and 1/8 tsp. salt until well blended. Stir in 4 cups of milk and 1 tsp. of vanilla extract. Cook on the stovetop over medium heat until the mixture begins to boil, stirring the entire time. Then reduce heat and simmer until the mixture thickens slightly...just like a gravy. This might take anywhere from one to five minutes depending on your stove. Just don't let it over thicken to a pudding state at this point. 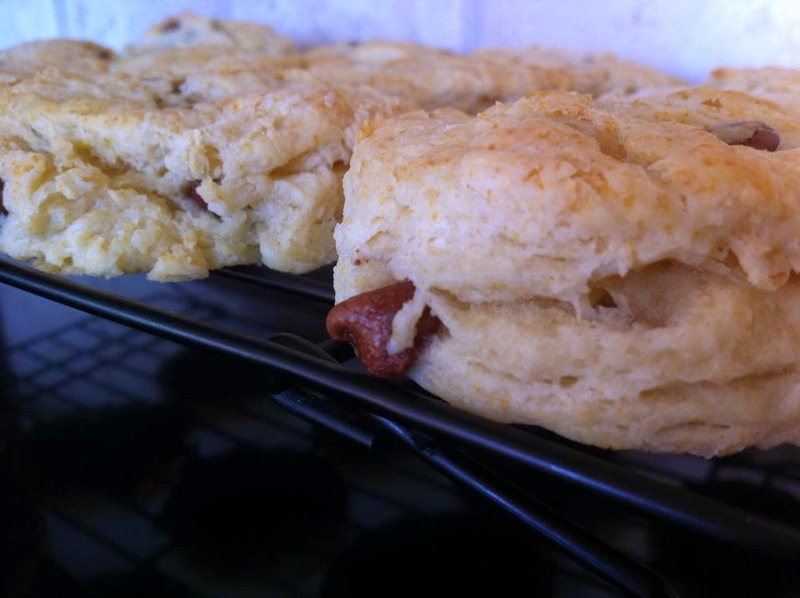 The consistency needs to be gravy-like to give it a chance to soak into the biscuits. 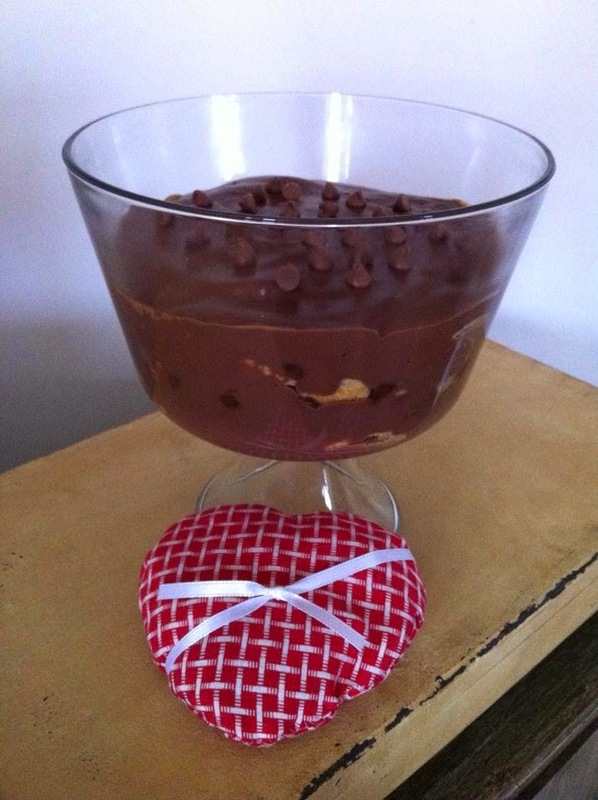 In a large serving bowl (I used a glass trifle bowl so you could see the completed dessert well. 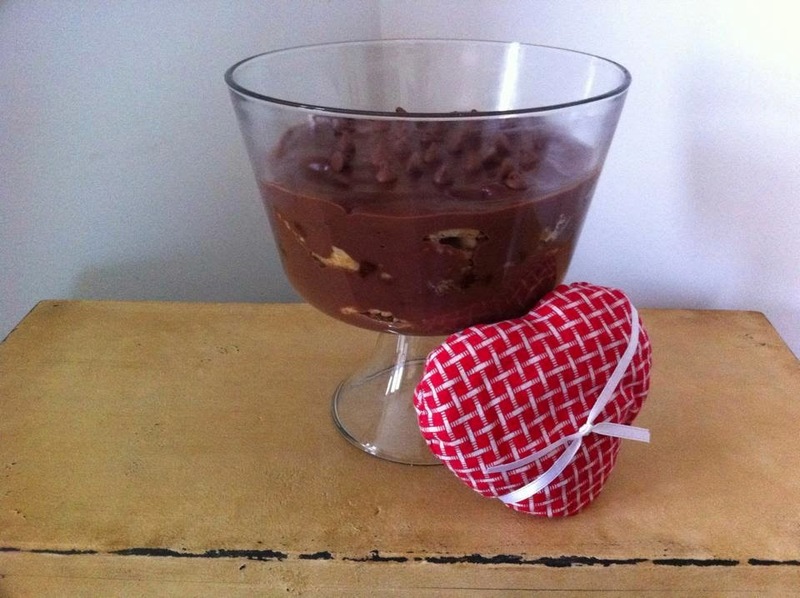 ), immediately ladle a thinnish layer of chocolate gravy, then a single layer of biscuit slices. Repeat layers, ending with a chocolate gravy layer on top. 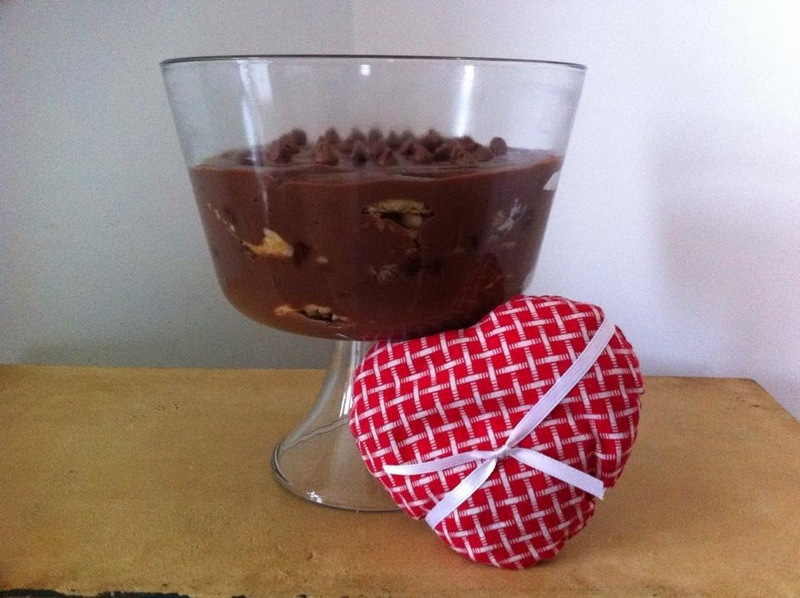 I topped my Chocolate Gravy Biscuit Pudding with just a few chocolate chips for garnish before I served it. 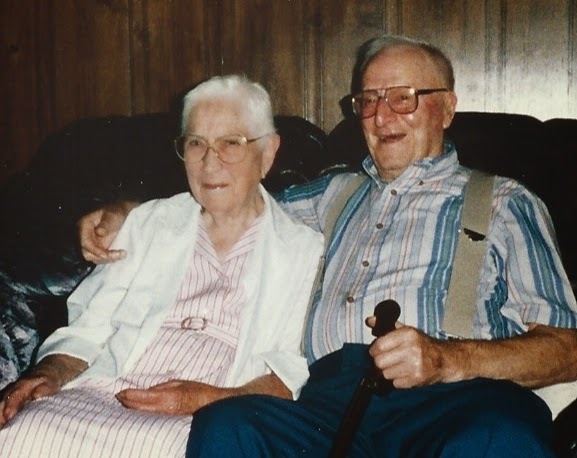 Mamaw & Papaw in their later years…aren't they the cutest Valentines you've just about ever seen?! Pretty sure this had to be one of my papaw's favorite dishes. It certainly would have satisfied his sweet tooth! Not too shabby for having met up with his Valentine in the middle of the road! 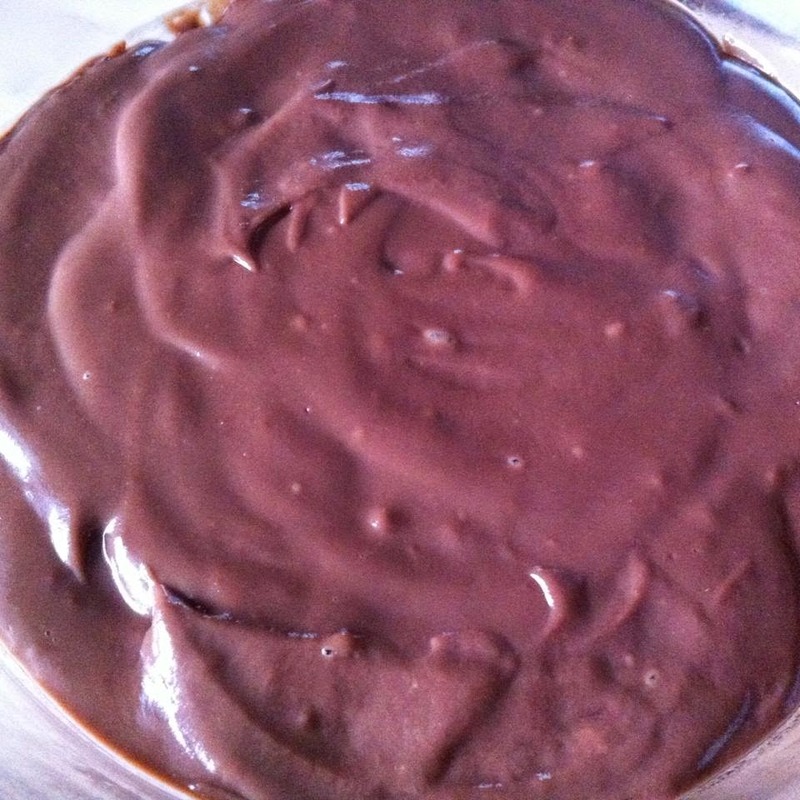 Hope you'll give my Mamaw's non-breakfast take on chocolate gravy a try (the full recipe is below--and you can click here for a printable version). Share it with someone you love this Valentine's Day...and don't forget to hug your loved ones extra tight and say a prayer of thanks for each of them! Life is short, so make every moment you can as sweet as that chocolate gravy! Blessings to you and yours! Preheat oven to 400 degrees fahrenheit. 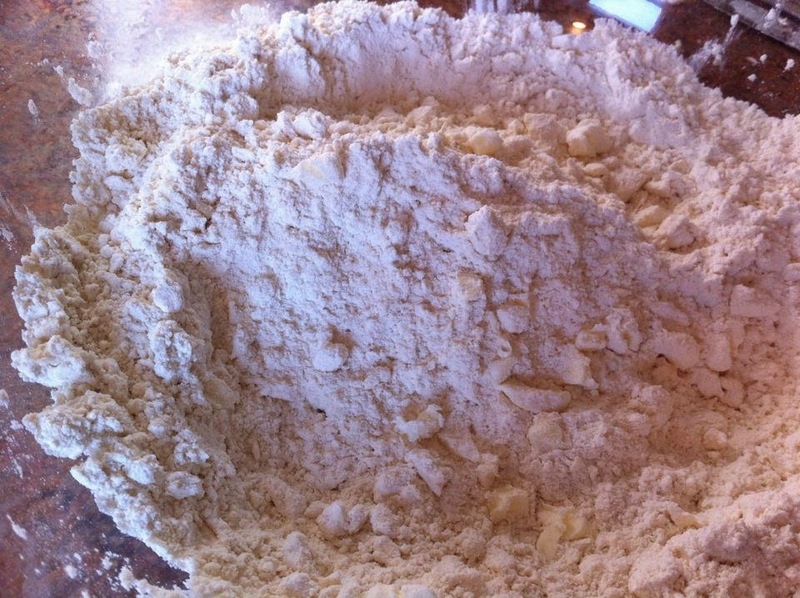 In a large mixing bowl, combine flour, baking powder, and salt. With a pastry cutter or two knives, cut in butter until butter pieces are pea sized. 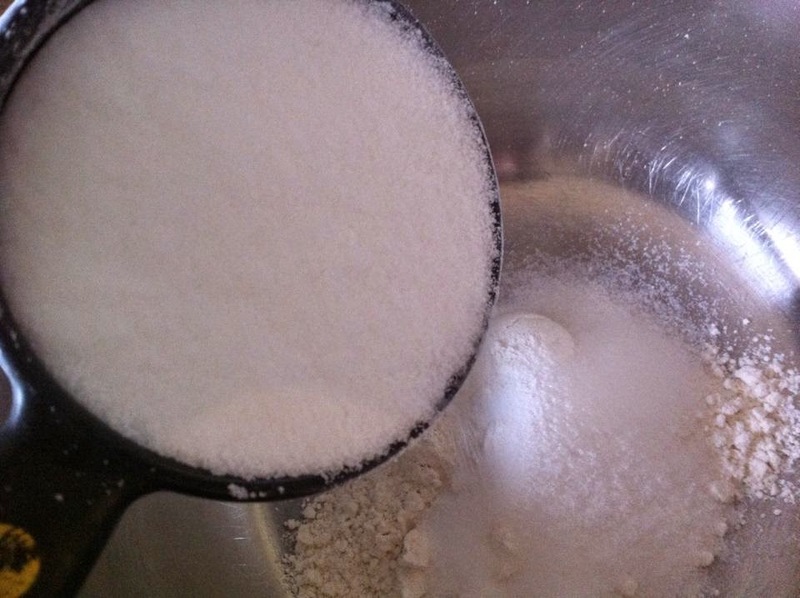 Stir in 1 cup milk until dough begins to form. 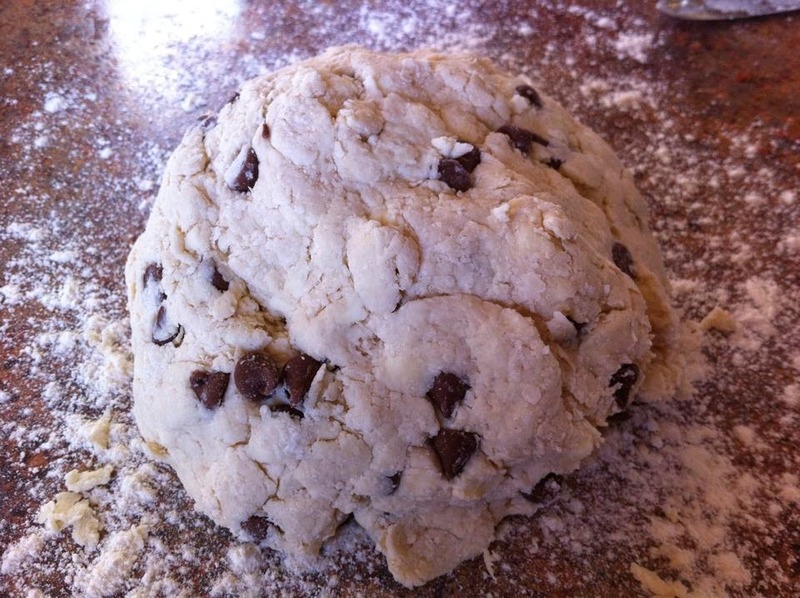 If desired, knead in 1/2 cup of chocolate chips until the dough forms a ball. 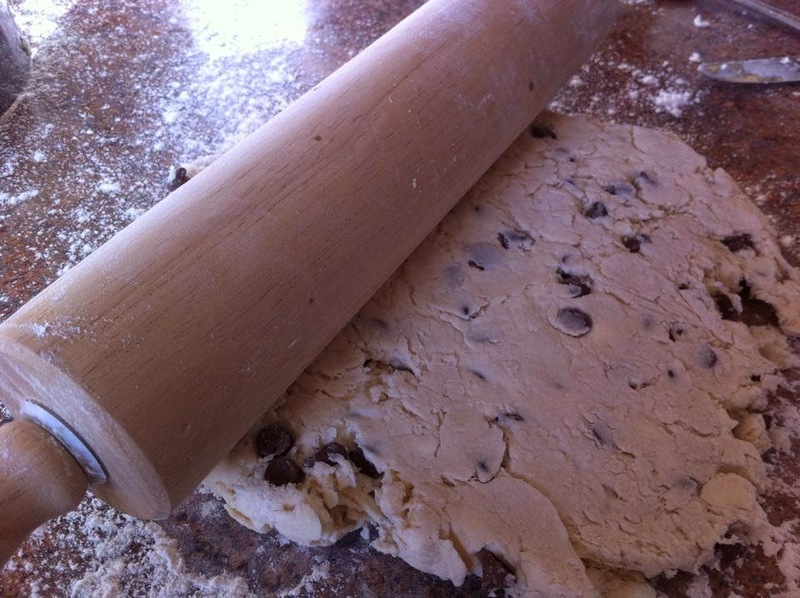 On a lightly floured surface, roll dough out to approximately half inch thickness. 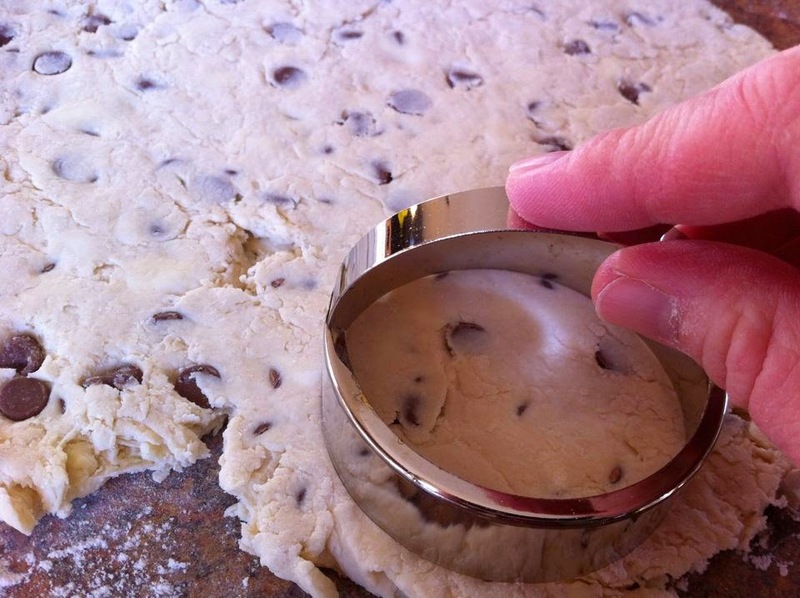 Cut biscuits with a biscuit cutter and place on a lightly greased or sprayed baking sheet. 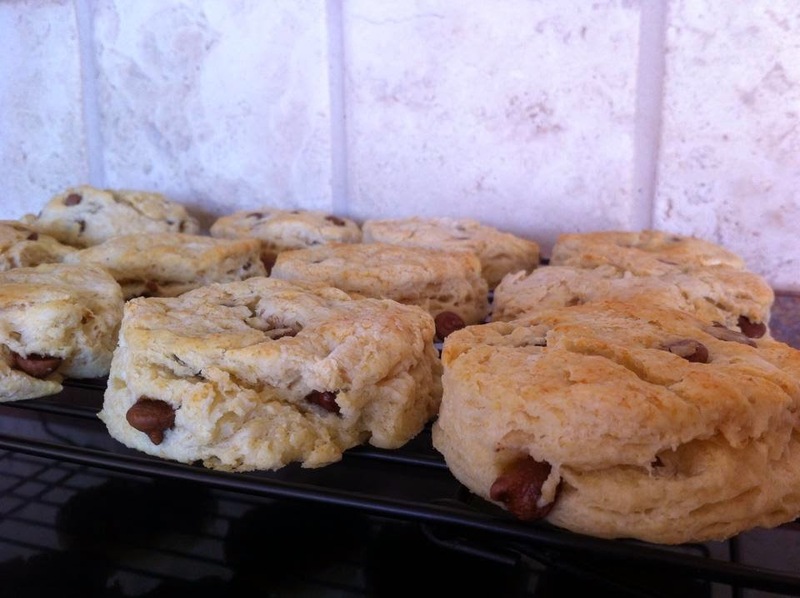 Recipe makes approximately one dozen biscuits. 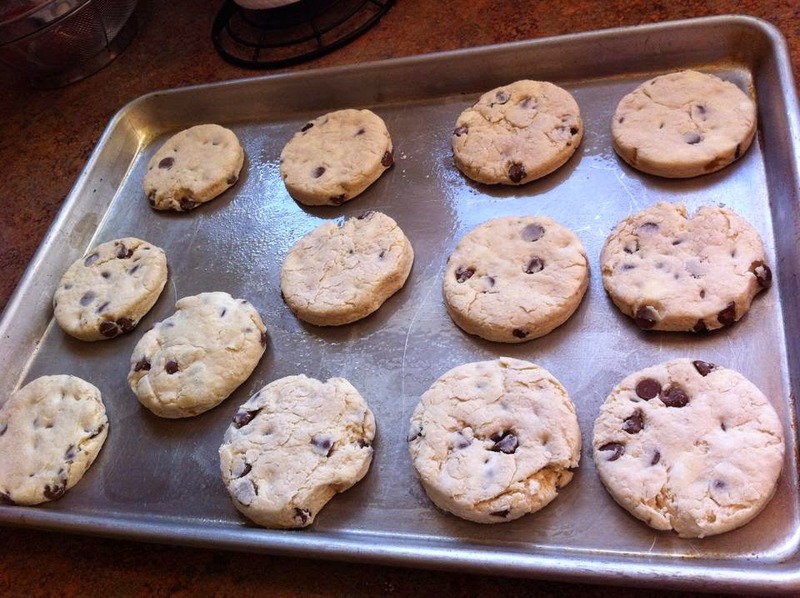 Bake for 10-12 minutes, or until light golden brown. Remove biscuits to wire rack to cool and set for a few hours. At least 1 1/2-2 hours before serving, slice biscuits in half horizontally with a sharp knife and then begin chocolate gravy prep. 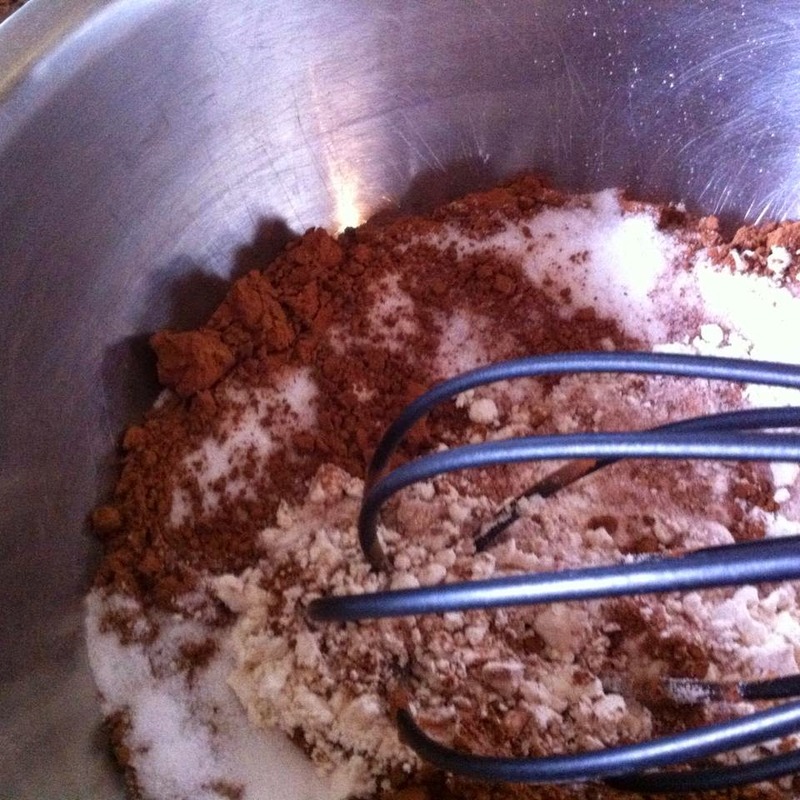 In a medium large sauce pan or iron skillet, whisk together flour, sugar, cocoa powder, and salt until well combined. Then stir in milk and vanilla extract. Cook on stovetop over medium heat, stirring constantly until boiling. 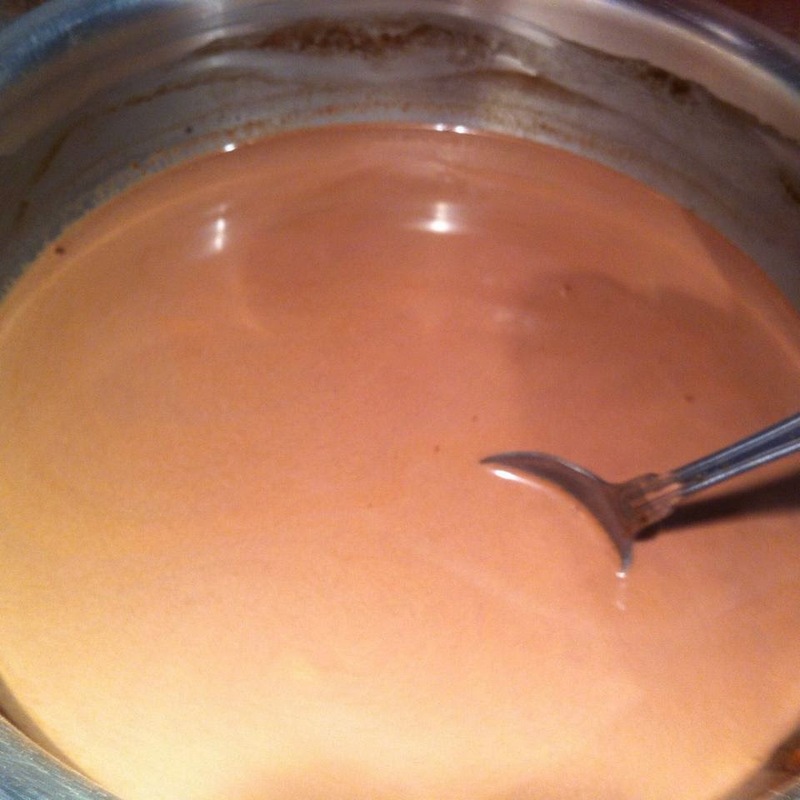 Reduce heat and simmer 1-5 minutes or until mixture thickens to a gravy consistency (do not over thicken). Immediately ladle a small layer of the chocolate gravy into a large serving bowl, then place a single layer of biscuit slices on top. 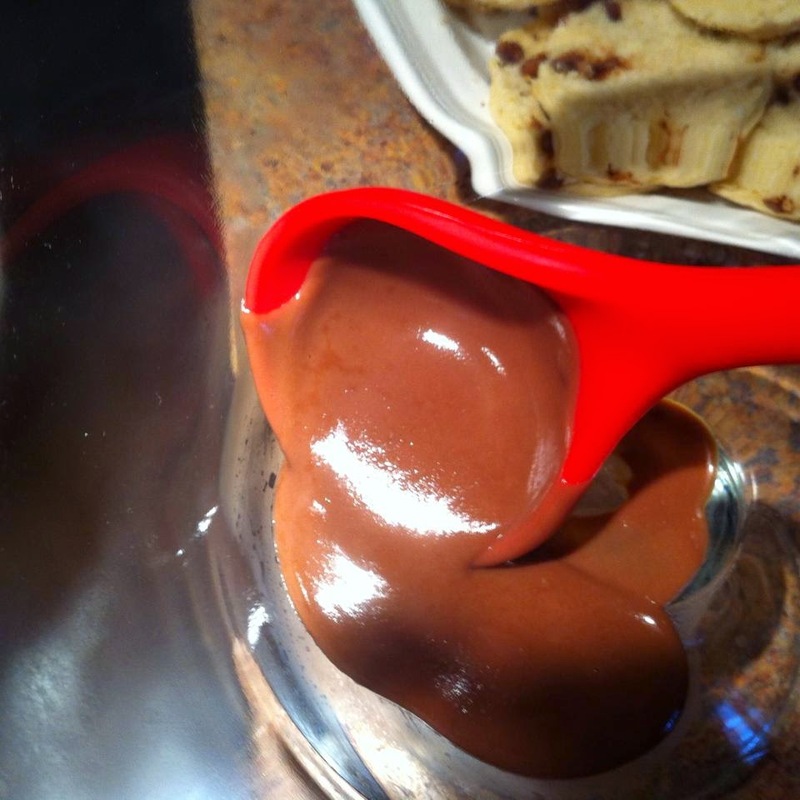 Repeat layers until all the mixture is used, being sure to end with a chocolate gravy layer on top. 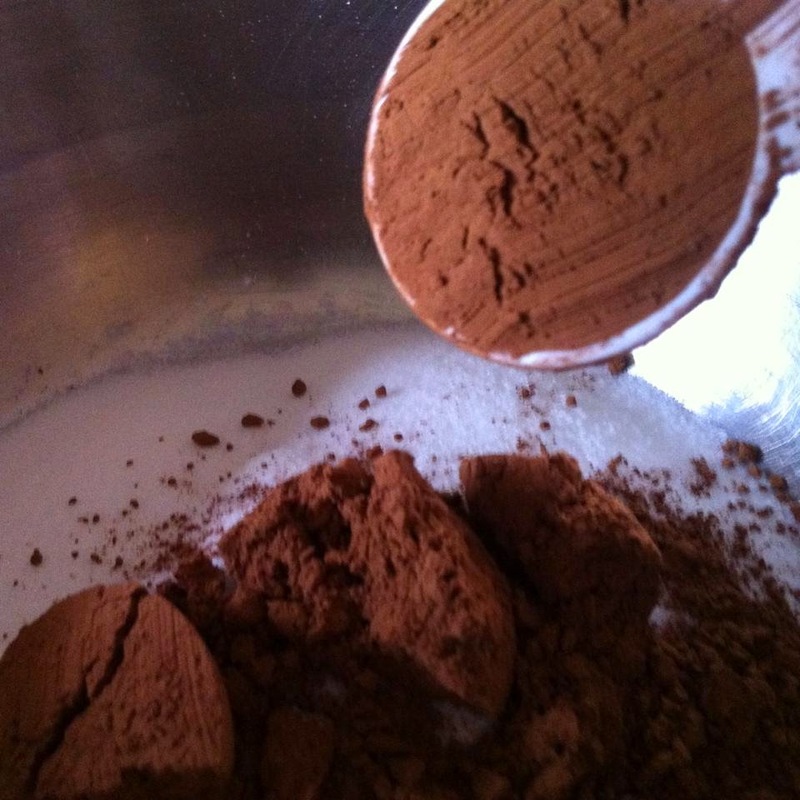 Allow mixture to set at room temperature for at least one hour before serving. 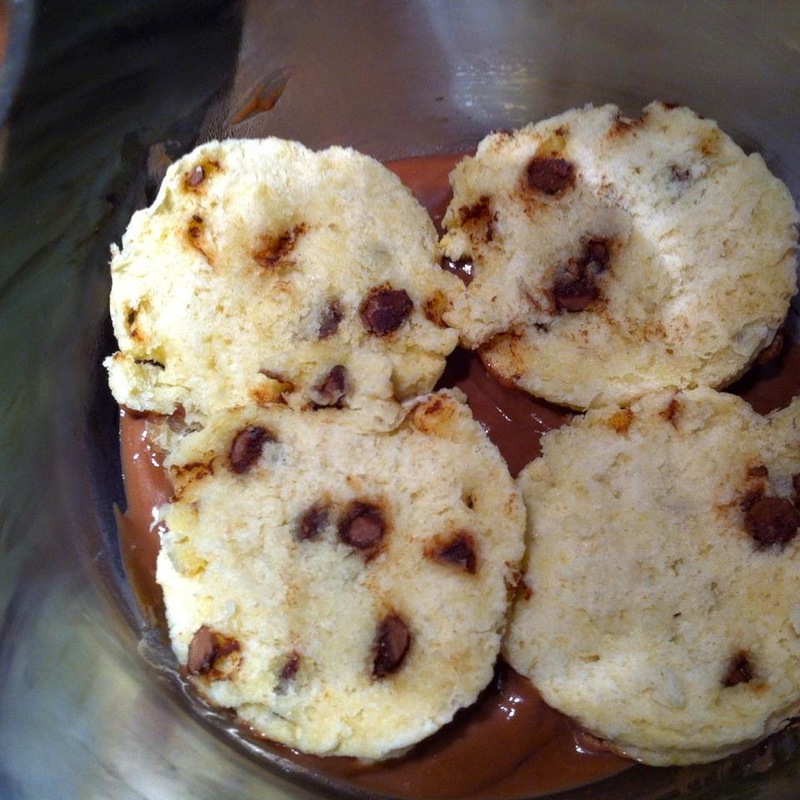 If desired, garnish with chocolate chips right before serving. Leftovers may be refrigerated but will be best if reheated in the microwave. You are welcome, Michelle! Glad you liked it!